You may recall that a few months ago that we ran an article that looked at the under representation of ladies in ultra running, particularly in Australia and what some of the causes of that might be, as well as try to encourage debate and some answers as to how we might wish to address this – if at all. Like any ‘slightly’ contentious topic, it certainly caused a lot of opinion and debate – which is what we intended it to do. I have my own personal thoughts and feelings on the topic, but that doesn’t mean to say that I’m right – far from it, I enjoy it when opposing points of view are offered and debated – intelligent (and respectful) debate makes the world go round. What I do wish to do however is continue the debate, whether views are opposing or not. As part of starting that, one of the things I pledged was to ensure more profiles and opinions were sought from everyday women that run (or have run) ultras. It’s all very well gathering the thoughts of well-known athletes such as Anna Frost, but what about the women at the coal face? The everyday mums and wives whom make up this group? Well first up is a wonderful lady by the name of Amanda Underwood. 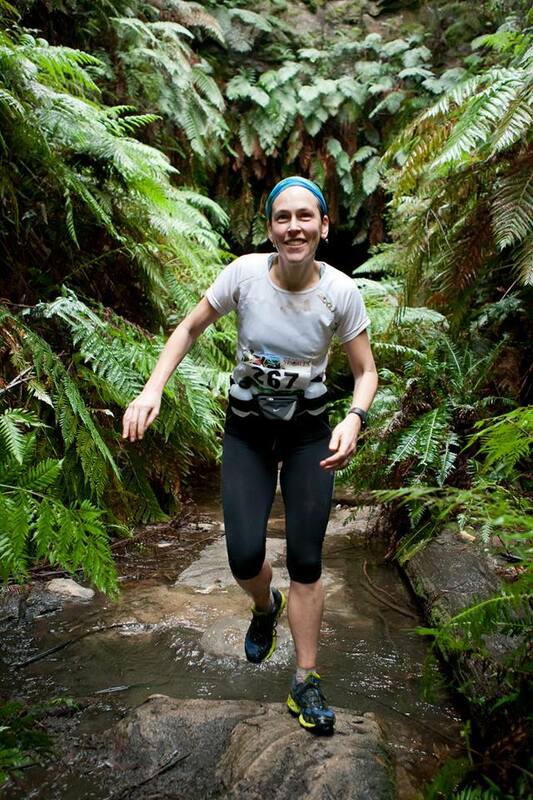 A mother of three, lawyer and baker extraordinaire – she’s also the wife of the seriously talented, understated and brutally hard-working, Tony Fattorini – two-time winner of the Six Foot track marathon here in Australia. So with three kids, careers and running to take care of – how do they do it? As part of speaking with Amanda, we wanted to get more under the skin of what she thought about whether we needed more women in ultras, whether we need women-only races and how she manages to juggle everything and still do what she needs to do. Does the current ultra running environment suit women who have demands elsewhere e.g kids/work? Obviously, by definition an ultra means running a long way, both in training and in the actual event, and that takes a lot of time – particularly if you’re not very fast! In Sydney, most of the races are in the Blue Mountains and tend to involve a full day or weekend commitment. I completely understand why most ultras are held in places like the Blue Mountains but when you add travel it’s a serious block of time. So, for me, time is the biggest issue, particularly at the moment as my work is full on and my children are very young. The youngest one is still being breastfed so that puts a pretty firm limit on the amount of time I can spend away from him. I know that a lot of women with children feel guilty about spending time away from their families, so that they tend to choose shorter events. I appreciate that men feel this way too but the mummy guilt factor seems to be pretty powerful. I can’t speak for anyone other than myself, but what I would find helpful would be more races closer to the city and more groups specifically training for ultras. Local training groups would be helpful both for motivation and for safety – my training opportunities are generally in the very early morning and I often feel unsafe, particularly in less populated areas. 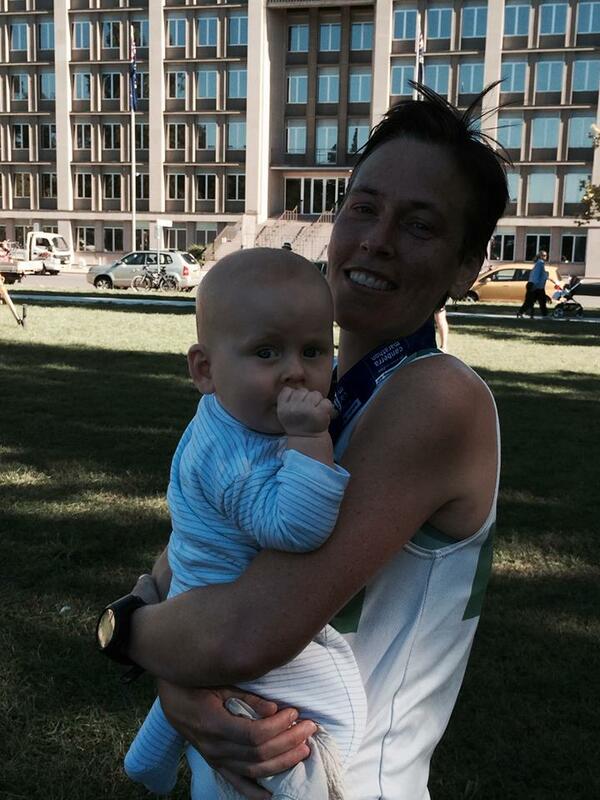 How do you both personally manage to juggle your running with your kids and family / work life? I am both lucky and unlucky to have a husband who is a passionate runner. Lucky because he completely understands that I don’t function properly unless I’ve run that morning and does what he can to help me fit it in. Unlucky because he doesn’t function properly unless he has run either, so we have to negotiate our spots and tightly schedule everything so it doesn’t impact too much on the children or the other person. As a general rule, I get early mornings, he gets nights, I get the Saturday long run and he gets Sunday. We both try to minimise the impact on the children but they always have at least one parent with them and have grown up just accepting that running and being active is part of life. One of my favourite moments was when I saw my 6 and 4 year old pretending to be mummy and daddy and running hills reps up a tiny sand hill. I wanted to say – no, mummy and daddy wouldn’t be going at the same speed – but I let it go. We’re also really fortunate that my mum loves coming to races so will happily come with us for weekends in the mountains for races such as the Six Foot Track and the Glow Worm Trail Marathon. All our holidays are structured around races, to be honest. Work is another issue – I work for a large, multinational law firm and have a busy practice, so I run at stupid o’clock and my running is and always has been my main stress relief, so actually I consider it an essential part of my working life as well. What are the main barriers for women to run ultras, in your opinion? My perspective at the moment is very much one of a woman with young kids, so I don’t pretend to be able to speak for people in different situations. From my perspective, family commitments and fear feature as the two major barriers. Fear of not being good enough, or fast enough, or of coming last or getting lost. I think there is a tendency with women not to commit to doing something unless they are sure that they can do it, whereas men tend to be more ready to take a risk. That’s a massive generalisation, of course! Should more races cater for women e.g. The Southern Highlands Challenge in late August? I think the highland race is a great example of a well-considered race for women, particularly those with families. It has a range of distances and has entertainment for children. All credit to April for that one. However, I don’t personally see the need for races catering solely for women, although I accept that they are popular. The women only races don’t really appeal to me and they tend to be limited to short distances anyway. What makes more sense to me is to have races that include shorter or less technical events to appeal to people who are starting out, who need the security of entering as part of a team, or who want to run part of the race as a relay before committing to the whole thing. I think a shorter, less serious race is a good idea – such as the 6km event in the Glow Worm Trail Marathon weekend – but I don’t think it should be gender based. Build stepping stones to let people build their confidence instead of segregating them into “girls” and “boys”. What about gear? Is it too focused on men…particularly backpacks and shoes? Probably yes, particularly when it comes to packs. A woman is obviously shaped differently to a man so a pack which is designed with wider hips and narrower shoulders makes a big difference. I would also like to see some smaller, slimmer hand-held bottles as most of the ones I have tried so far make me feel like I’ve been weight lifting with one arm by the end of a long run. Do we need more apparel such as the new Anna Frost range of clothing for women? Is there a strict need? In my view, no. But is there a market? Absolutely! You only need to look at the success of stores such as Lorna Jane and Lululemon to see that women like to buy and wear clothes that make them feel athletic, fit and generally uplifted. My work clothes are all shades of grey and my “mum” clothes are all highly functional (and covered in pumpkin), with occasional nods towards form. By the time I get to my running clothes I’m a bit over being purely functional. I can definitely see the appeal of gear that is well designed, well-made and attractive at the same time. What recommendations would you make to race directors / the ultra running community to help entice more women into the sport? Consider including relay or team entries into the standard distance events. If an event is going to be over a weekend, include shorter races for people who want to see if they are interested in trail or ultra events before committing to them and include activities or entertainment for those who support the runners – whether that is a sausage sizzle for the people standing around waiting for their person to come in or a treasure hunt for kids – just make them feel included in the day or weekend so the runner shares the joy around.